Given the number of variants for the Crozier Surname, anything I write or anyone else would write would most likely be correct. The people who would be incorrect are those accusing ones write-up on the Crozier Surname as being incorrect. 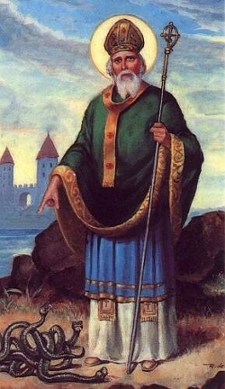 Crozier is today’s dominate form of the name which is found in Rockburghshire, Scotland then on to Fermanagh, Ulster, Scotland, which means the staff a bishop carries like St Patrick to drive the snakes out of Ireland, a representation of a shepherd’s cane, on the one carrying it leading the flocks. Crozier, is a more recent form of the name. 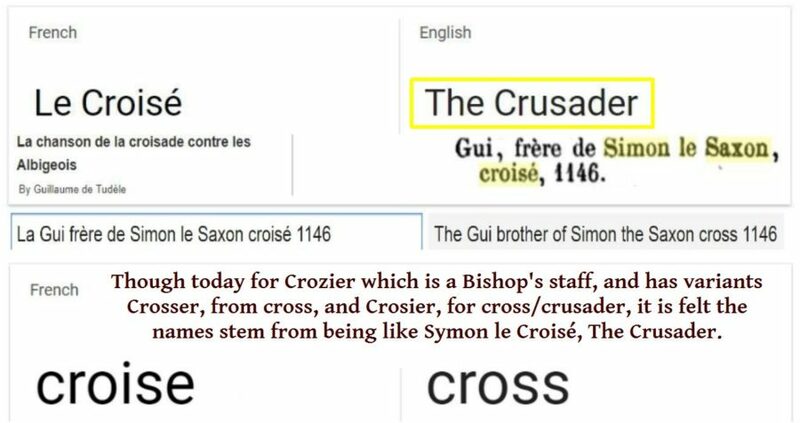 Thought the surname Crozier, means crozier, it is not where the surname was derived from. Croisé and La Croisett seem to be representative of most the variations of Cros, Crosser, Crosset, Gros, Crosar, Croysar, Croiser, and Crozier to a degree. The Saxon Crusader (in French), during the twelfth century, may be the best description to give birth to all the variants of the Crozier names to date.